8.64 Acres with owner financing. The adjacent tract may also be available for purchase - Contact us for more info. The "land-spin" concept was developed in order to better convey how the land we have for sale lies. 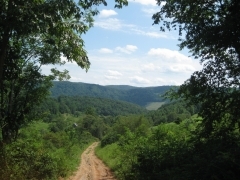 We hope that the land spin view helps you get a better feel for this Kentucky land for sale by owner!